The hardwood derby handle offers excellent support to the hand, and may be hooked over the arm when not in use. 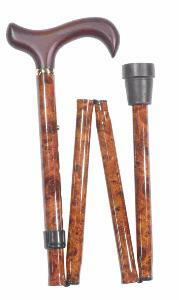 The shaft is patterned with a rich, burr wood-effect pattern. 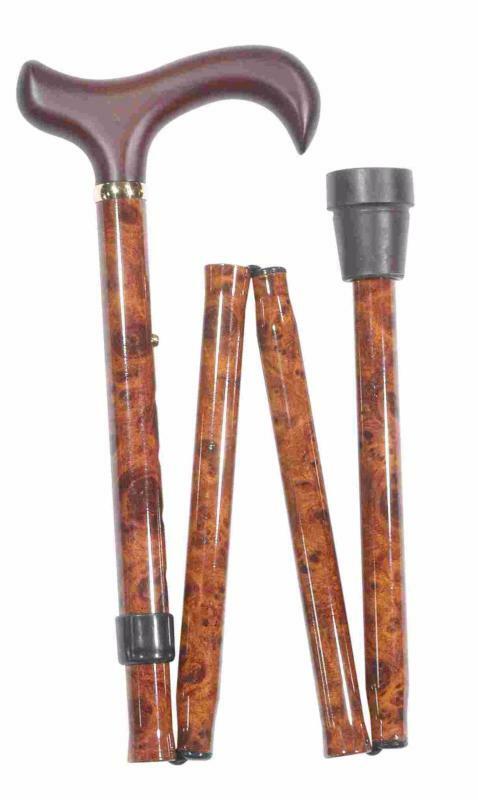 Height adjustable from 87.5 to 97.5cm (approximately 34.5"-38.5"). Overall length when folded is 32cm approx (13").